4 Foolproof Air Conditioning Repair Tips For Your Home - AccuTemp Refrigeration Inc. There is nothing worse than your air conditioning unit not working during the scorching heat of the summer. Regular maintenance will usually keep your AC running smoothly. However, some situations require air conditioning repair by an HVAC professional. Before you call for air conditioning repair services, here are six foolproof repair tips for your home. With a bit of investigative work and DIY repair, your air conditioning will be up and running, keeping you cool, even on the hottest days. Regularly scheduled maintenance on your AC unit is essential to your HVAC system’s longevity. It will also help prevent home air conditioning problems or the need for an AccuTemp repair service call. A maintenance checkup is an ideal time to take note of any damage or trouble with the unit. 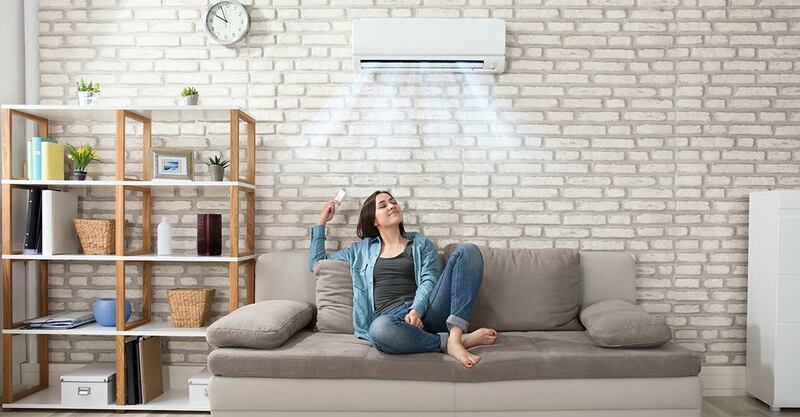 Because issues with an air conditioning system are not always apparent at the time of maintenance, there are several indications your unit needs AC repair. It is important you pay attention to any of the following: unusually high energy bills, poor performance, outdated equipment, odd noises or odors and system failure. If you notice any of these signs, it is time to take a look at your AC unit and consider any necessary air conditioning repairs. Is your AC not working? The first repair tip is to look at the power source. You must ensure the power is on at the furnace or air handler, the outdoor compressor, and its 240-volt disconnect. You may need to check out your home’s electrical panel to confirm the unit is receiving power. It is possible the issue is simply the result of a tripped breaker or a blown fuse. Resetting the breaker or replacing the fuse could be a swift resolution to your AC troubles. If the power source is not the problem, the second recommendation is to take a look at the thermostat settings. This may be fixed by replacing the batteries (if your thermostat has batteries) or testing the Y wire. Third, if the above steps do not resolve the matter, examine the condensate overflow switch and the capacitor and contractor in the compressor. Is your air conditioning not cooling? A dirty filter could be the reason. Remember, always turn off power to the unit when performing work on your HVAC system. The fourth step to air conditioning repair is cleaning or changing the filter. This procedure may be the quick and easy repair your unit required. Next, it may also be necessary to check for any ice that has formed on the coils. If you observe ice, turn the power and fan on to melt it. Lastly, you should also inspect and clean the condensate drain and outdoor compressor. Using these repair tips, your DIY routine will have your unit up and running in no time. If for any reason you are having difficulties completing these steps or have any questions or concerns, you should contact an AccuTemp Refrigeration professional. Please provide your information and we will contact you as soon as possible. Emergency? Please call us 24/7 at 602-957-3745. © Copyright 2019 AccuTemp Refrigeration Inc.